This can be made with Rice flour, Wheat flour and Ragi flour etc. Here I preferred to do with Ragi flour because of its high nutritional value, the same recipe can be followed for all type of flour, cooking time may vary. Do you know Ragi -Finger millet is Excellent baby food, rich in calcium, Battles anaemia, helps in weight loss, High fibre content Aids diabetics, Reduces the risk of stroke, Gluten-free, Natural relaxant. 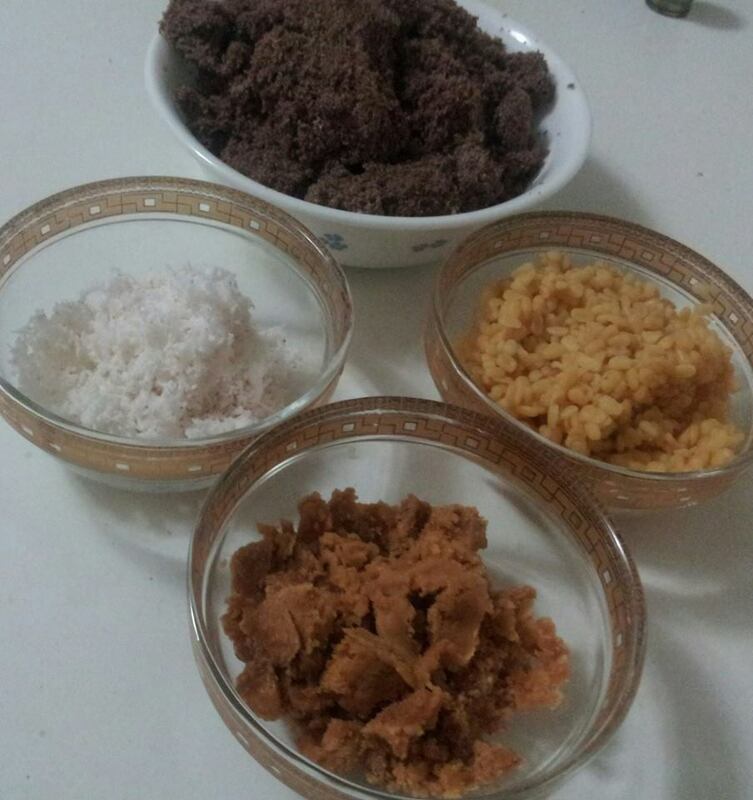 1.Take wide bowl add Ragi flour and 1/2 cup of water by sprinkling mix it with your finger tips When you take a handful of flour and press it between your fist, it should hold its shape, when you press it again a little harder, it should crumble. That is the right consistency. 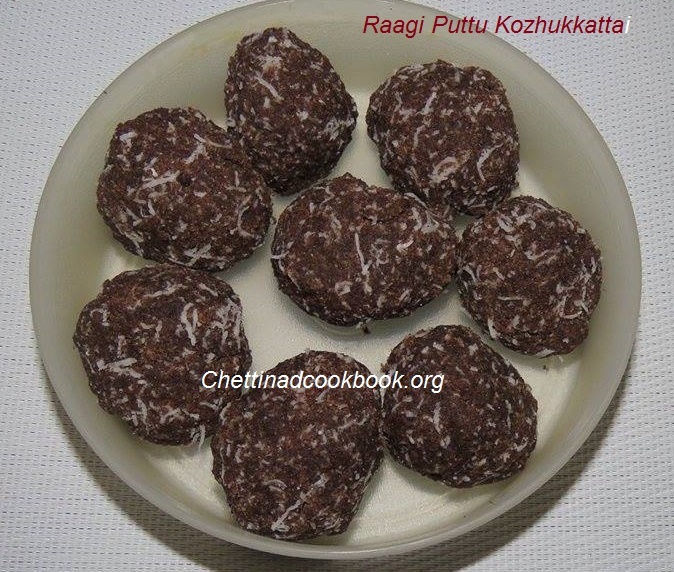 2.Boil water in idly pan place idly plate over it spread mixed ragi flour on it close and cook puttu for 20 minutes. 3.Remove from plate bring it back to a wide bowl. 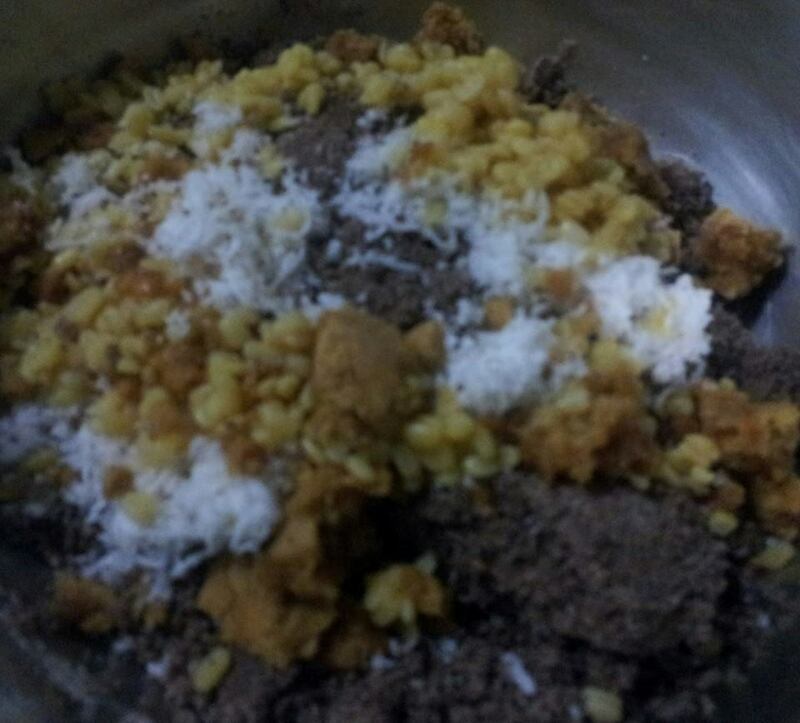 4.Mix the other ingredients Jagery, coconut, ghee and Elaichi powder while the puttu is hot. 5.Now make it in to ball shaped by pressing it between your fist.This kolukattai form will help you to avoid hikkups while eating. 6. Steam cook these balls for 3 minutes if desired.